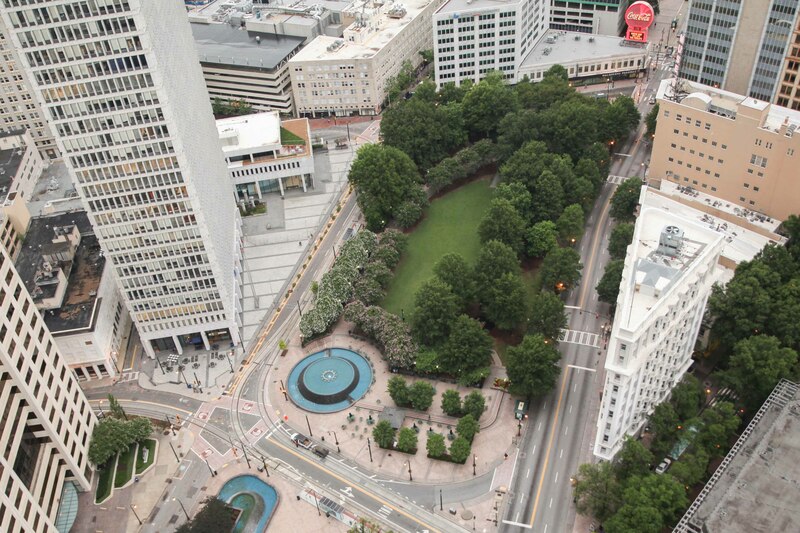 Woodruff Park is one of Downtown Atlanta’s most significant green spaces, in the heart of the city’s financial, entertainment, and academic districts. An emerald lawn, plaza areas, a gazebo and fountains combine to make this a flexible open space designed to accommodate large crowds, from students and office workers on their lunch hour and to attendees of large-scale special events like the Peach Drop. 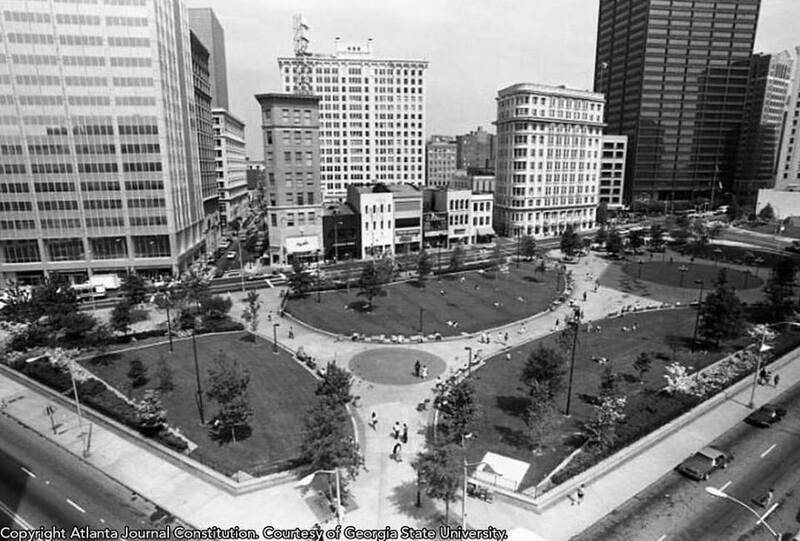 Established in the early 1970s, Woodruff Park was formerly known as Central City Park. The park was created thanks to a philanthropic gift from former Coca-Cola Company president Robert W. Woodruff, who donated the money anonymously. After two years of planning and preparation, the park opened in 1973. In 1980, the park underwent its first revitalization with the addition of a tree-lined central plaza. Throughout the 80s, many businesses migrated to Downtown Atlanta, and Woodruff Park became a gathering place for lunchtime office workers, as well as faculty and students at nearby Georgia State University. In 1994 the park was closed for a $5 million overhaul, just in time for the 1996 Centennial Olympic Games. Between its 1995 makeover and its 2006 renewal, Woodruff Park fell into relative disuse and was in part overshadowed by nearby Centennial Olympic Park. 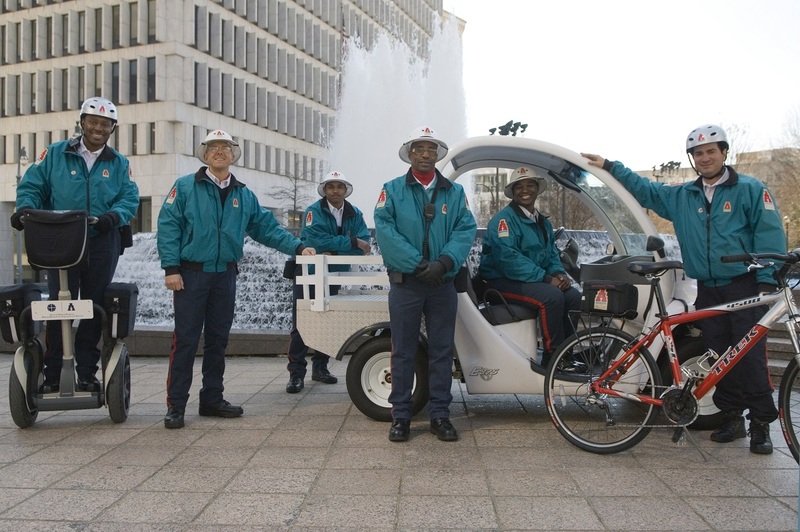 In 2006, after seeing the success of New York’s Bryant Park, the Atlanta Downtown Improvement District (ADID) began work on developing a Memorandum of Understanding (MOU) with the City of Atlanta, as well as a Master Plan (approved in 2008). 2016 began another era of revitalization of the Park that continues today, thanks to generous donations from Southwest Airlines Heart of the Community program, community outreach lead by Project for Public Spaces, the hiring of a new Woodruff Park Project Manager, and the reconvening of the Park’s Advisory Committee. Recent updates include: a new visual identity, the Game Cart, Wi-Fi, banners, umbrellas, colorful furniture, year-round events and programs, and a social worker dedicated to serving those in need in the park. Use of the park for special events and programs can be scheduled through the Mayor’s Office of Special Events and the Department of Parks and Recreation. For questions about hosting your event in the Park, contact Ansley Whipple, Woodruff Park Project Manager, at awhipple@atlantadowntown.